The perfect addition to a home study or desk area, the Newark Desk Lamp by Heathfield & Co features an understated design with a contemporary finish. 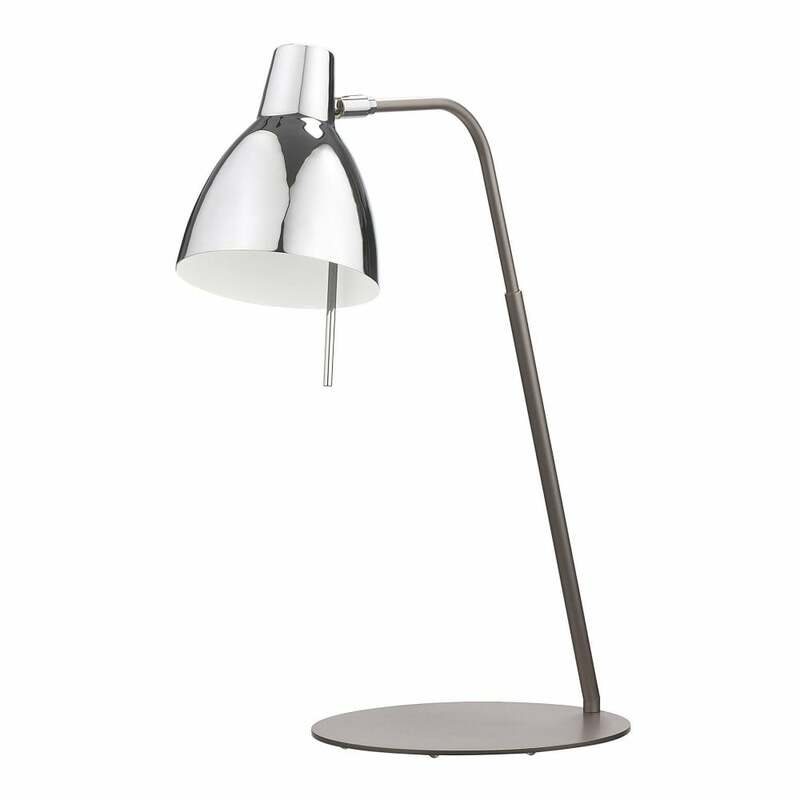 This classic desk lamp is crafted from contrasting anthracite and chrome to create a sophisticated look that exudes designer appeal. Sleek and stylish, the shade includes a pull in a matching metallic finish. Place on top of a chunky wooden desk and style with high-quality work essentials such as a leather notebook and metallic stationary holders.